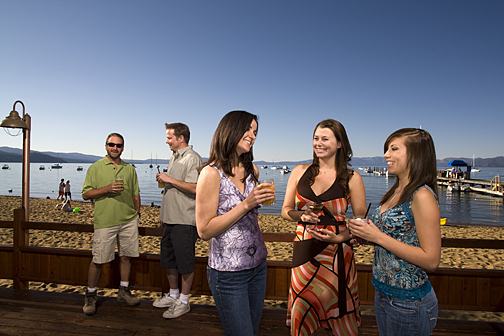 One of Lake Tahoe’s most extraordinary lakeside restaurants, The Beacon Bar & Grill’s setting is one-of-a-kind. Couple that with an outstanding menu and you’ve got a Lake Tahoe favorite, voted “Best of” by locals year after year. Whether you’re looking for appetizers, lunch or dinner on the deck, or a relaxed meal in the dining room, The Beacon Bar & Grill is the place to be. Beacon’s outdoor Summer cocktail months are fun-filled with outdoor dining, deck appetizers and drinks, and live music Wednesdays-Sundays. In the spring and fall, sunny days, calm waters and quiet nights provide the perfect backdrop for a wonderful dining experience on the lake. 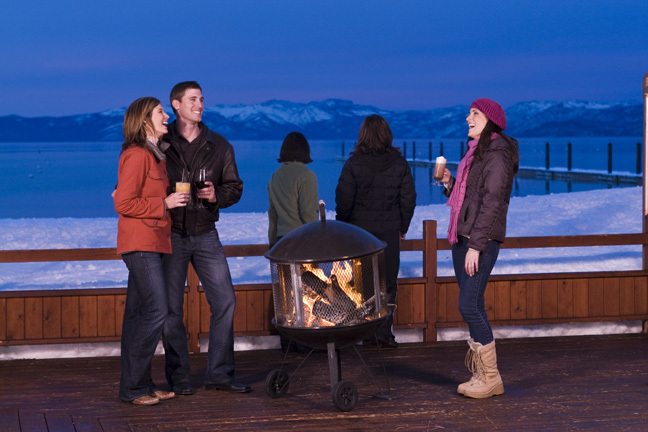 Winter Beacon offers a warm & tasty respite after a cross-country ski or snowshoe walk along the shores of Lake Tahoe. Live entertainment in the winter on Friday and Saturday nights. Offering an eclectic menu of seafood, chicken, pasta, steaks, pork, soups (be sure to try the Clam Chowder! ), salads and outstanding appetizers, there is something for everyone!